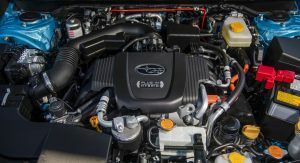 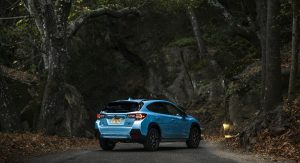 Subaru has unveiled its first plug-in hybrid, ahead of its debut at the Los Angeles Auto Show. 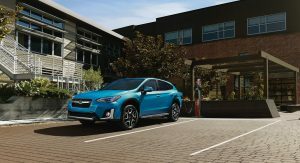 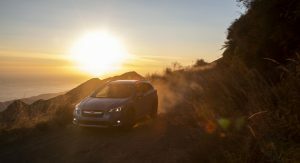 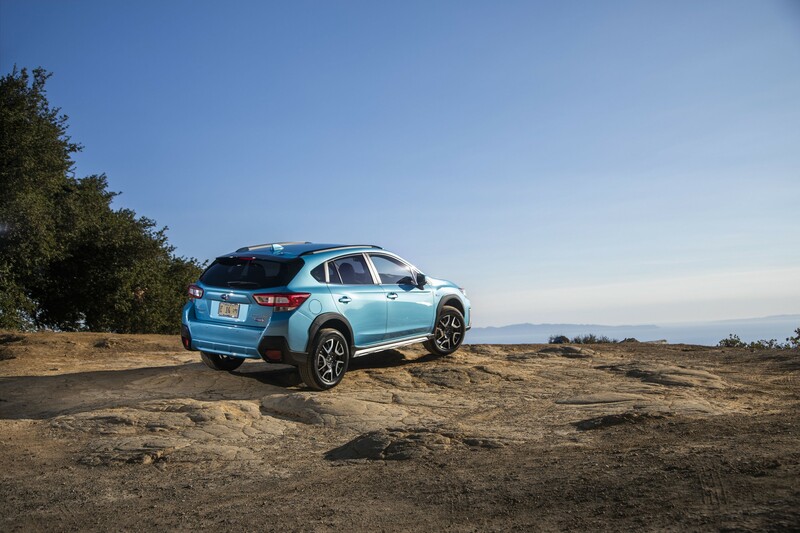 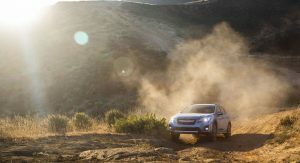 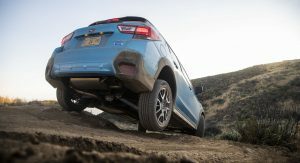 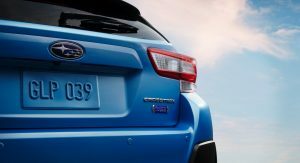 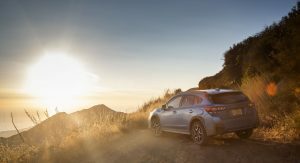 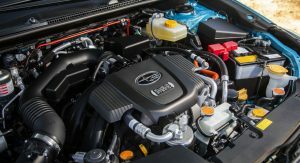 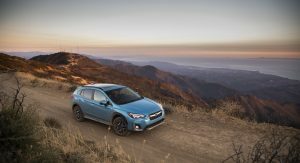 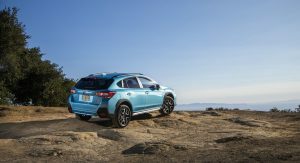 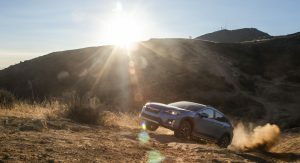 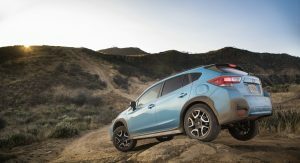 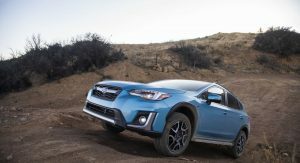 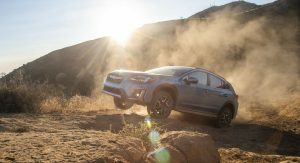 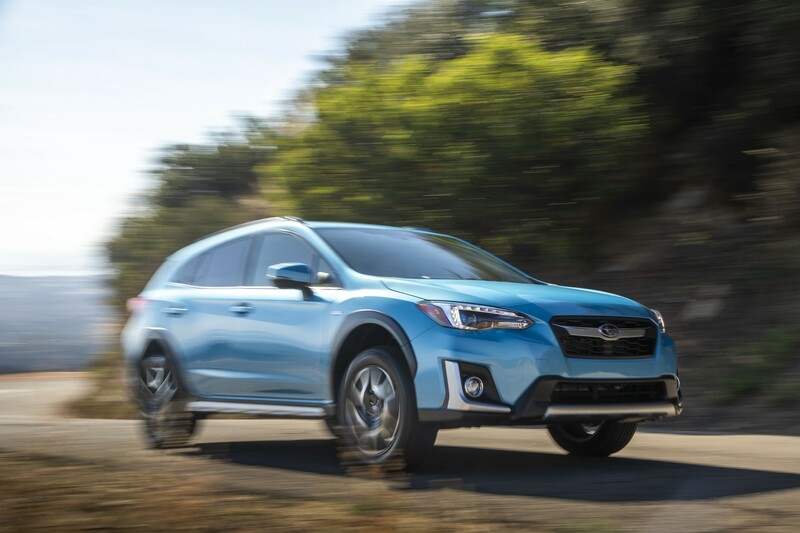 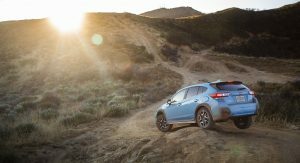 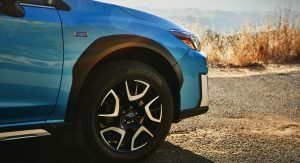 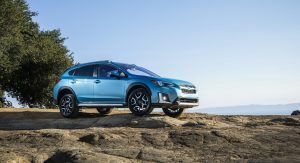 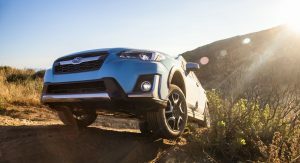 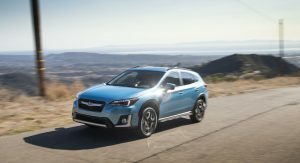 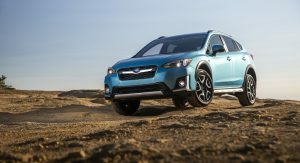 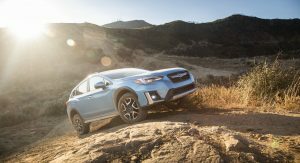 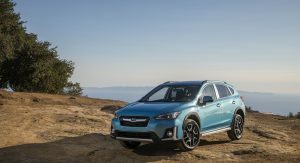 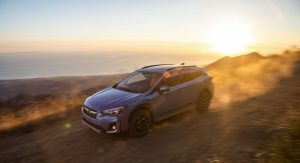 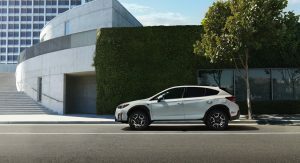 Set to go on sale next year, the 2019 Crosstrek Hybrid features an all-new “StarDrive” powertrain which consists of a 2.0-liter boxer engine, two electric motors, a symmetrical all-wheel drive system and a Lineartronic continuously variable transmission. 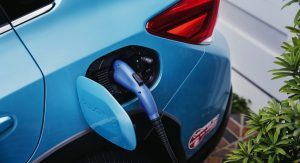 One of the electric motors functions as an engine starter, but it can also be used to as a generator to produce electricity for the 8.8 kWh lithium-ion battery pack. 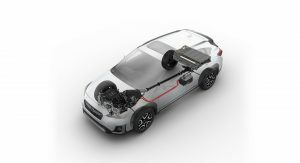 The second electric motor powers the car while also recharging the battery via regenerative braking. 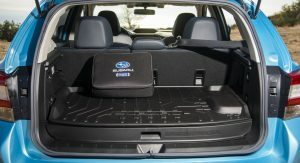 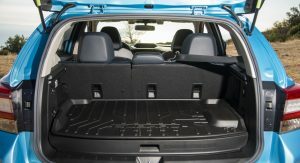 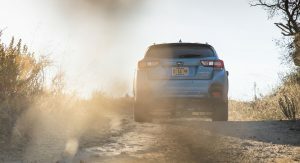 This setup enables the Crosstrek Hybrid to have a combined maximum output of approximately 148 hp (110 kW / 150 PS). 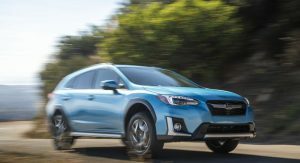 While that doesn’t sound like much, the car can accelerate from 0-60 mph (0-96 km/h) one second faster than the standard Crosstrek which has a 2.0-liter four-cylinder engine that produces 152 hp (113 kW / 154 PS) and 145 lb-ft (196 Nm) of torque. 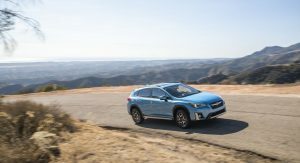 Improved performance isn’t the only benefit as the Crosstrek Hybrid can travel up to 17 miles (27 km) on electricity alone at speeds up to 65 mph (104 km/h). 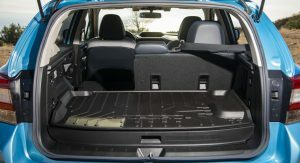 Overall, the car has a combined range of 480 miles (772 km). 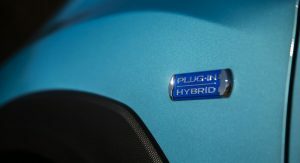 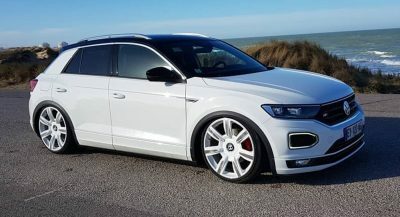 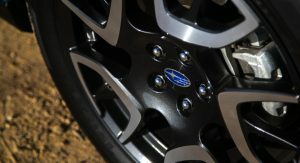 Styling changes are relatively minor as the plug-in hybrid is distinguished by blue headlight projector rings, unique silver trim and special 18-inch alloy wheels. 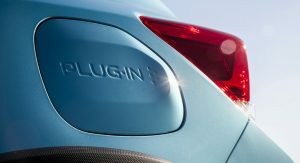 The model also has plug-in hybrid badging, rear charging port and an exclusive Lagoon Blue Pearl paint job. 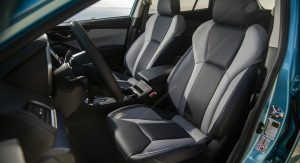 The interior largely carries over, but the Crosstrek Hybrid has two-tone leather seats with blue contrast stitching. 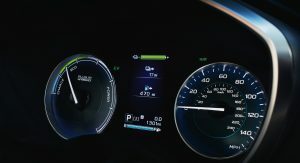 Drivers will also find blue trim and hybrid-specific displays. 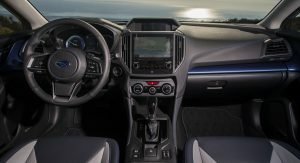 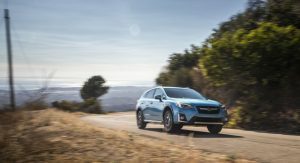 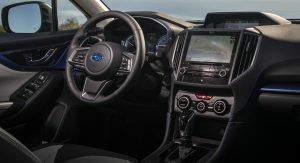 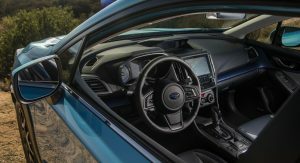 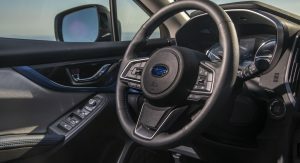 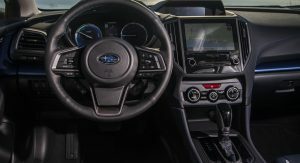 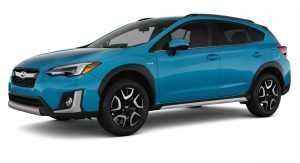 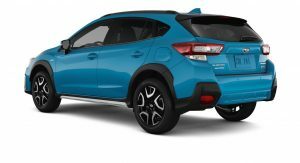 The 2019 Subaru Crosstrek Hybrid has a base price of $34,995 and model comes nicely equipped with a leather-wrapped steering wheel, heated front seats and an 8-inch infotainment system. 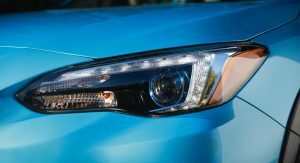 The car also has an EyeSight driver assistance system which provides adaptive cruise control, lane keep assist and pre-collision braking. 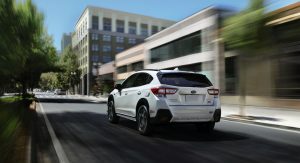 Other safety features include a blind spot detection system and rear cross traffic alert. 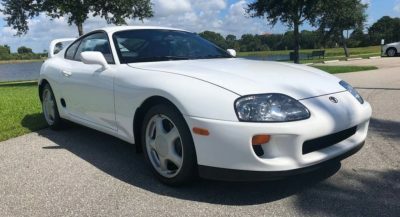 Well, it’s not, it’s slow. 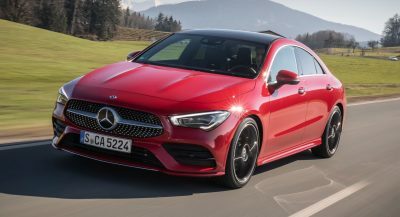 Considering all of the competition goes to 60 in 9 or 10 seconds, being the fastest at an 8 second to 60 sprint is nice addition to the great fuel economy you’re getting too. 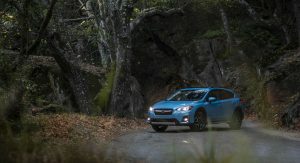 I can’t imagine how this won’t print a lot of money for Subaru. 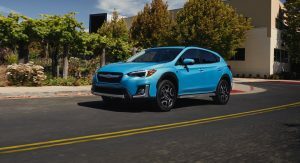 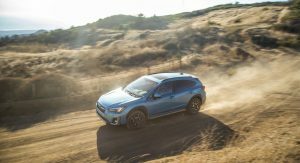 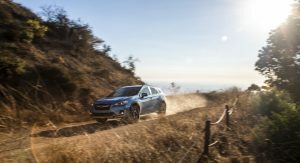 The Crosstrek is already a big seller for Subaru but now you add two features people will always welcome: more accelerating power and more fuel efficiency. 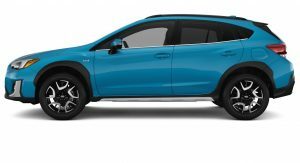 Meh I was expecting more. 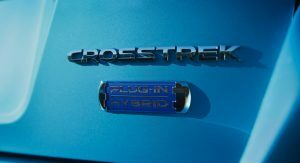 I think it would have been more interesting to have the “standand” hybrid technology from Toyota rather than their PHEV tech, which is not impressive compared to other makers. 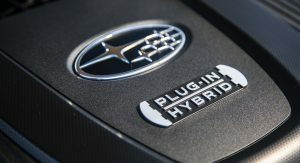 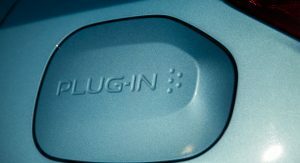 The only difference between the “standard” Toyota hybrid technology and the plug-in is that the plug-in has a larger lithium ion battery which is what allows the 17-25 miles of electric only range. 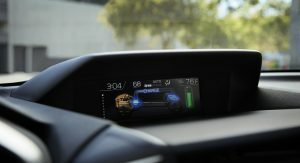 If you compare the fuel economy between the Prius and the Prius Prime you’ll find they are within 2 mpg of each other. 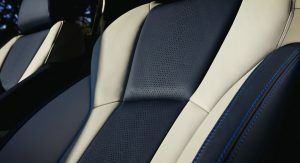 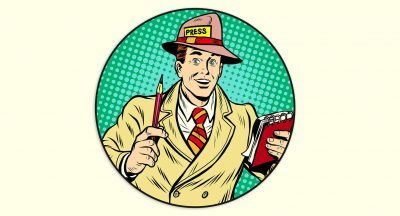 With the absence of lumbar support, I had decline to get one. 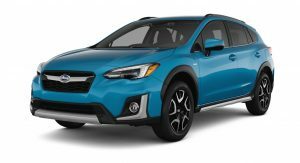 Hopefully that has change with this model and the 2019s. 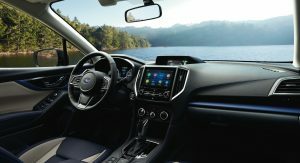 If you’re spending $30,000 on this car, is it worth going with the 2019 Forester? 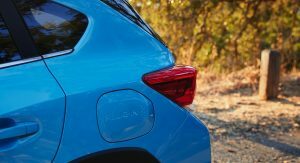 Just say that this is a Prius Prime drivetrain set up longitudinally behind a 2.0l boxer-4. 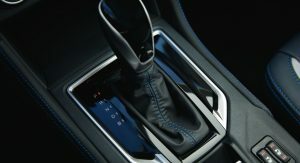 “Lineartronic continuously variable transmission” Jesus Christ give us a break..
Next PostNext What’s This Ferrari 488 Mule Hiding Beneath Its Camouflage?